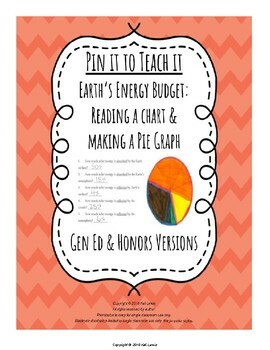 This is a great activity to practice reading a chart and making a graph with your students. 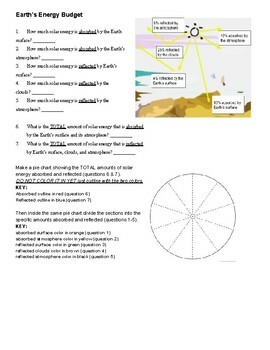 They have to answer the questions by reading the chart about how the sun's energy is absorbed and reflected by the Earth. 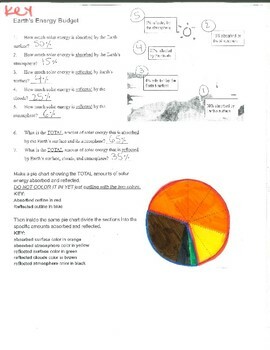 Then they will use their answers to create a pie graph showing the data. 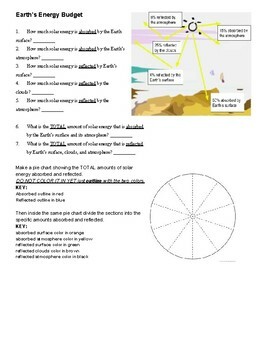 This includes an advanced version and a differentiated version for students who need a little extra support.